The arid chill of the winter paves way for bright and brimming spring with the season of harvest at its threshold, giving people reasons to rejoice. Magh Bihu or more appropriately Bhogali Bihu, one of the most important festivals of Assam, is a paradigm of that spirit of festivity. The festival is known as 'Magh Bihu', since it marks the end of harvesting season in the month of 'Maagha', and 'Bhogali Bihu' for the fact that the celebration revolves around families getting together for a grand feast. Bhogali is derived from the Assamese word 'Bhog' which maybe interpreted as food and the name signifies that the stores and granaries in homes across the state are filled with the just harvested crop. A large bonfire, referred to as 'Meji', and a feast, are the cardinal focus of Magh Bihu, although there are other fascinating traditions associated with the celebration. The feast being a part of the festivities is anything but obvious since Magh/Bhogali bihu commemorates a season of harvest. 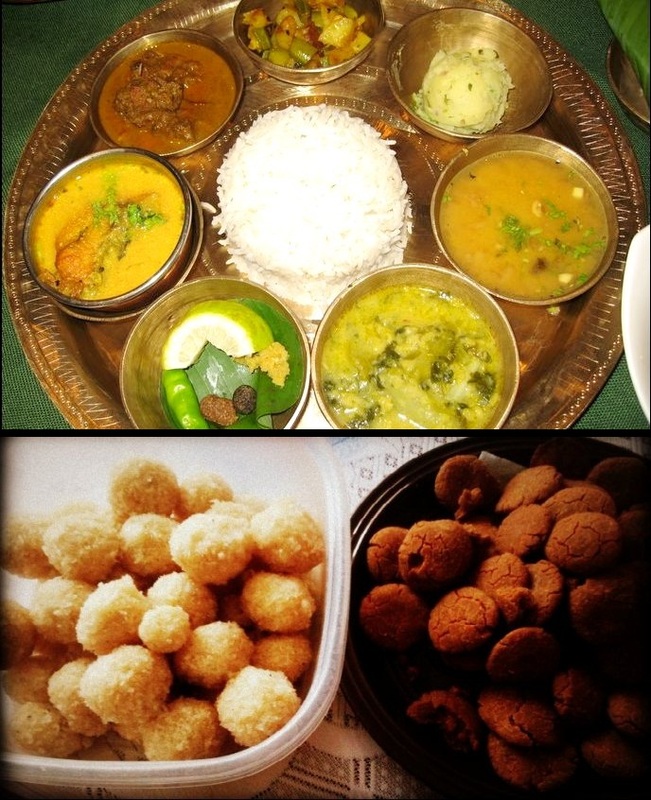 On the eve of Magh Bihu, the night that is known as 'uruka', a large buffet dinner is prepared, often as a community activity, following a long preparation of traditional sweets known as 'Pitha'. Pitha is a rice-based fillet most commonly sweet in taste and on rare occasions salty. The night of Uruka is also spent by family members chatting around a bonfire, an activity that is also considered to a form of community watch guard to refrain mischievous youth and pranksters to cause any trouble. Traditionally on the eve of Uruka, pranksters sneak into people’s courtyards to taunt the owners. Preparation and burning of the Meji, the traditional bonfire, is possibly the greatest attraction of Magh Bihu. The groundwork begins a day before Magh Bihu. Sticks and leaves are collected and a rough hut called ‘Meji’ is constructed. The entire community spends the night in rough hay structures called 'Bhela Ghar', guarding their Meji. The exemplary feast is prepared to serve those who guard the Meji. Burning of the Meji , considered as a sanctified act begins with a ceremonial bath. The Meji is burnt and several rituals are observed around the burning bonfire. It is also customary for the lady of the house to make offerings of pithas and other eatables to the Gods. Once the rituals are over, various types of potatoes are roasted on the embers of the bonfire, and there is a session of feasting on these roasted vegetables. The proceedings end with a traditional firework display. The crackers are made of bamboo, and they are called Hiloi. 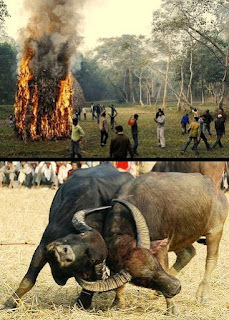 Other highlights of Magh Bihu include traditional sports activities including egg fights, bull fights and bird fights. 'Tekeli bhonga' or pot breaking is yet another much loved sport. In any part of the globe, tradition and culture have always furnished a special spot for nature, and therefore with every cyclic change that nature bestows there follows a celebration that is vibrant and joyful. The people of Assam while truly embodying that spirit, extend their thanks to mother nature in this beautiful celebration of life called Magh Bihu. I am a great fan of your writings. You have greatly written about Magh bihu wow. A round of applause to you. 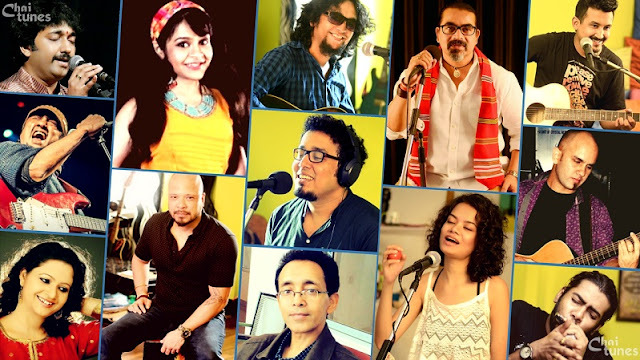 However, please have a look at this video too who is a new Assamese singer. Please support his enthusiasm too.